Day 3 (12/6/16): Happy St. Nick's Day! 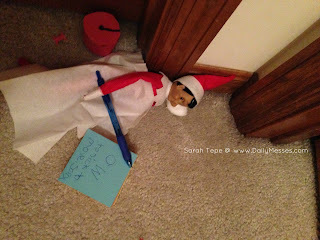 Higgins touched Eugene with his foot last night, so there was no Elf movement this morning. Poor Elf. I think Eugene needed to drink some coffee so he could spell words correctly in the note.